As a bystander's video of a South Carolina cop shooting and killing an unarmed black man reignites a national debate over police brutality, Texas lawmakers are set to discuss police body cameras in a public hearing. Body cameras are recording devices that can be affixed to law enforcement officers and document their actions. The House Committee on Emerging Issues in Texas Law Enforcement will consider two bills on Thursday related to officers' use of them: one by Rep. Ron Reynolds, D-Missouri City, that calls for Texas law enforcement officers to wear them, and another by Rep. Gene Wu, D-Houston, that would create a committee to study the cameras. A separate bill by Sen. Royce West, D-Dallas, would require local law enforcement to apply for grants that would equip their officers with body cameras and come up with guidelines for using them. That bill is awaiting a vote in the Senate Criminal Justice Committee after a public hearing on Tuesday. “Imagine if that officer in South Carolina had on a body camera," said Reynolds, who has also proposed putting $50 million in state funds toward the technology. "It’s highly doubtful that he would have behaved the way he did." Both law enforcement and police accountability groups have concerns with the existing proposals that would require some police to wear body cameras. 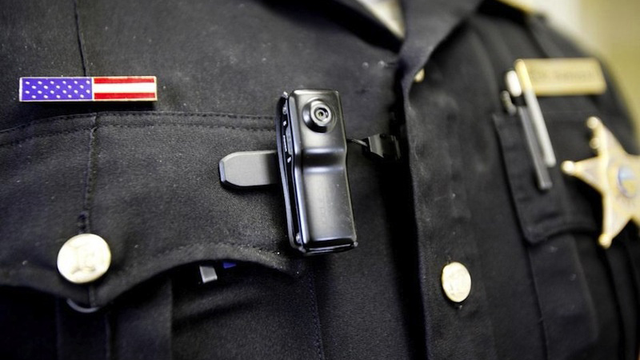 The Combined Law Enforcement Associations of Texas, or CLEAT, supports body cameras for cops, said Chris Jones, a lobbyist for the group and a former sergeant in the Houston Police Department. But none of the legislation proposed in Texas so far adequately addresses when the cameras should be on, he said, or whether their footage should be public information. For instance, should the camera be on when an officer is having a personal conversation with his wife? If it's left on by accident, is the footage still public information? "We've just got to tweak how they're going to be used," Jones said. Matt Simpson, a senior policy strategist at the American Civil Liberties Union's Texas affiliate, had similar worries. "You don't want anything private or sensitive released simply because an officer caught it on their body camera," he said. And he worried officers could turn off the camera in crucial moments if they feared being recorded. Other bills dealing with video recording of police activity by private citizens have also been filed this session, but they've run into some trouble. And state Rep. Eric Johnson, D-Dallas, withdrew his own bill that reaffirmed the public's right to videotape police so long as they followed orders to change their location or move farther away. Johnson heard from police who argued the bill didn't protect them enough, and accountability activists who said it violated their rights to film. Johnson's office said Wednesday that he is modifying his bill to address those concerns.